Today’s business world is faced with rough and unpredictable changes: the worldwide political scene is turbulent, the global economy is undergoing non-linear changes, the social landscape is appearing more and more fragmented, and technology is accelerating faster than ever. Companies must constantly be on the look-out to not be caught off guard: they should be aware that emerging new players will disrupt the traditional business model and compete for customer’s attention not only at the level of products, services, but also in terms of brand, process, and business model. In order to survive in today’s volatile world, companies must drop their linear approach to business and incorporate innovation within their DNA. Within each company, the Research & Development department should collaborate closely with the Service Design Department and the Business Model Innovation Department in order to concentrate their efforts on finding innovative ways of doing business rather than trying to achieve greater performance over competitors within the traditional way of doing business. 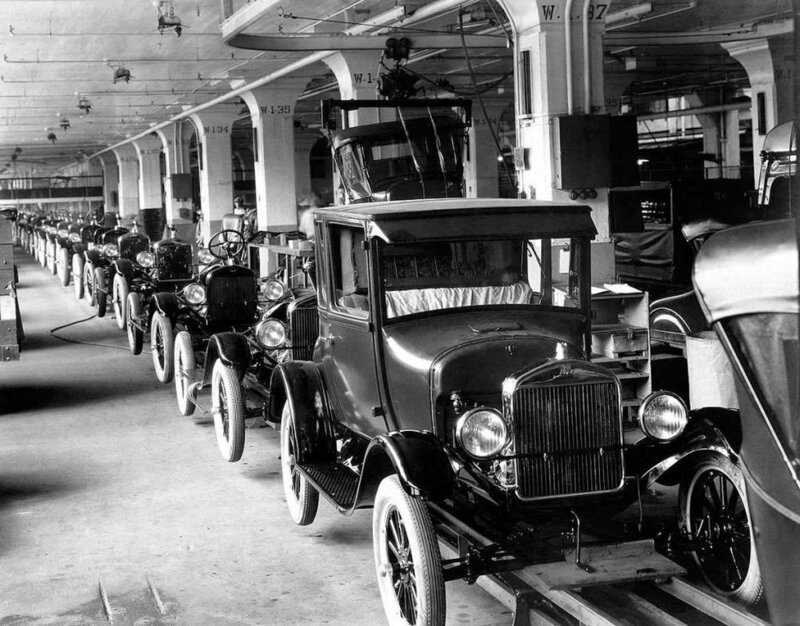 - Ford in the early 20th century revolutionized the transportation industry by introducing cheap production of standardized cars which ceded the way for a mass market (Buzzavo, p.4). - McDonald’s developed newly designed equipment, introduced new standards for quality and training and presented new forms of distribution through franchising on a large and international scale (Buzzavo, p.4). - As early as 1965, Fed Ex came up with a system that allows for express shipment delivery for time-sensitive parcels, an idea that established an entirely new industry. Fed Ex’s greatest contribution was also introducing real-time tracking, ensuring that customers will do business with them because of their effective use of technology (FedEx.com). Year after year, Zara, the Spanish fast fashion company, is making strong earnings and threatening along the way its competitors who are adopting traditional business models (source: Schlossberg). The secret to Zara’s success lies in a flexible and agile production process. Zara uses a push based model which means that as a designer in Zara you only need to sketch a design, show it to your boss, and if they approve it, your design gets “catwalked” within two hours. In less than five weeks your design will be “productionized” in Europe and then factories will push out the product to stores, which is then sold to consumers worldwide (source: Schlossberg). IKEA, The world’s largest furniture retailer, is another innovative company. The company adopted organizational transformations to redefine the roles among its stakeholders by looking at activities both inside and outside the firm (source: Buzzavo, 13). IKEA disrupted and reinvented the furniture industry by shifting activities among its stakeholders: by offering self-service assembly to its clients, the company was able to get rid of the burden and the cost of assembly, and by enabling in-store availability which allowed client to browse items in store it encouraged impulsive purchasing and increased profits (source: Buzzavo, 13). That’s not all; IKEA is restless and hungry for innovation. Earlier this year, IKEA launched its innovator incubator program that invites start-up companies to spend three months in the company’s labs in Sweden, earn $22,000 and benefit from free housing for three months, as well as, access to IKEA’s prototype shop and test lab (source: Purdy). Traditionally, airlines used to invest a lot of efforts to maintain the quality of their services in order to achieve customer satisfaction, loyalty and ultimately profitability. RyanAir, Irish low-cost carrier, stripped away a lot of the traditional features that customers were ready to compromise in exchange for lower travel fares and new opportunities of mobility. (Buzzavo, p.16). As a result, RyanAir was bringing up to 900 passengers a week to European cities that are far-away from city centre, and not only refusing to pay fees to use airport gates, but turning the table around and monetizing from airports and city municipalities for bringing this load of traffic on weekly basis to their far-away cities and airports (Buzzavo, p.13). RyanAir’s ultimate goal is to make “air travel free within 10 years” (Source: Purdy). Such a statement will without doubt have serious ramifications on the travel industry-- a very mature and established industry--and will threaten many giant players along the way. At Blue Hat, we are firm believers that businesses nowadays need to generate, embrace, and execute new ideas. Whether at the level of products and services, business model, organizational structure, communication, brand identity, or process, companies nowadays must be agile and flexible enough to cope with the change in customer behavior and anticipate industry trends. Hence, the need for innovation strategies that identify gaps in the industry positioning map, provide solutions on how to fill them, and grow them to overtake mass market. To ensure success, innovation strategies at Blue Hat always follows a human-centered design approach. Only by putting people first can we identify unfulfilled needs, solve problems and help you locate gaps in the market and develop novice, sustainable and profitable initiatives that could help you redefine the way business is conducted in your industry. McFarlane, Greg: Why is RyanAir so Cheap?